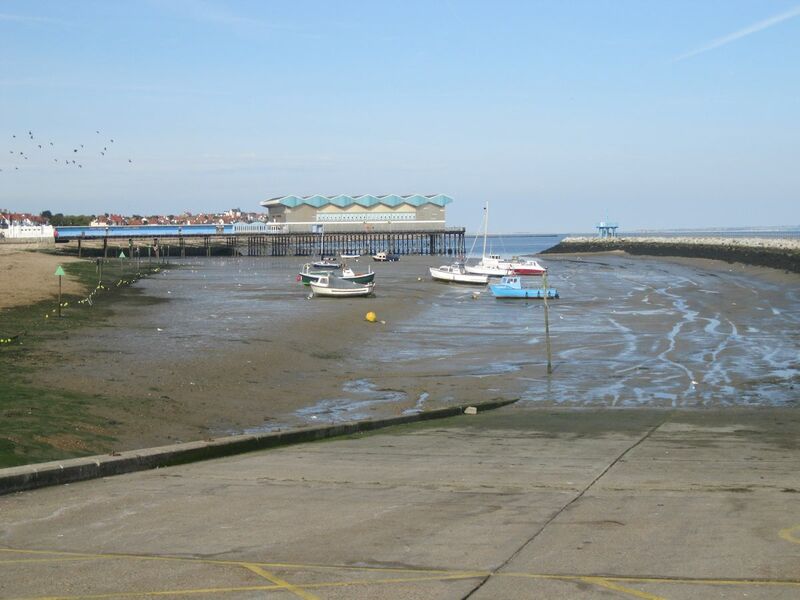 Strictly speaking Herne Bay is a satellite of the centuries old village of Herne, found on the main route to Canterbury. The town, just north of the village, started life as a haunt for smugglers, but gained popularity in the 19th century when it became a fashionable bathing resort as an alternative to Margate. The coast provided a relatively sheltered landing point for the small hoys that would bring coal from the northern counties and send corn up the Thames to London. There are records of a service taking passengers across the estuary and by the late 18th Century, a service up to London. The breakwater known as Neptune's Arm extends towards the end of the pier, effectively creating an artificial harbour, where a number of leisure and fishing craft are moored. The area is also used by jet-skiers. There is no quay as such, but a broad slipway is provided at the western end.